VOCES: Premiering Christian Cueva and Ricardo Farías' Short Film. Watch. And Listen to The Terror. It is hard to believe that it has been three years since I last saw Christian Cueva and Ricardo Farías’ excellent short film Voces (Voices). Yet here we are, and the lads are finally ready to release Voces unto the World for your viewing, and listening pleasure. Young newspaper reporter Alonso is sent to investigate police reports of the disappearance of children down a mysterious hole that suddenly appeared in the floor of a warehouse. Alonso runs into another reporter Roman and with warehouse worker Esteban they investigate the hole. When I wrote the short review of Voces I praised it for the element of surprise at the end, which to this day, watching it again three years later, knowing what is about to happen, still draws that maniacal laugh from me. Jose Carriedo Tellez (Ramon) seals the deal with that genuine look of loss, fear and terror at the end. Voces is also tremendous for its use of sound; the work from other members of mi familia Morbido really helps Cueva and Farias’ film stand out. The sound design and editing from Lex Ortega y Luis Flores at LSD, names and a company written about many times here, is awesome. I digress and it is keeping you from experiencing the joy of Voces. Throw on some headphones and turn it up to eleven. 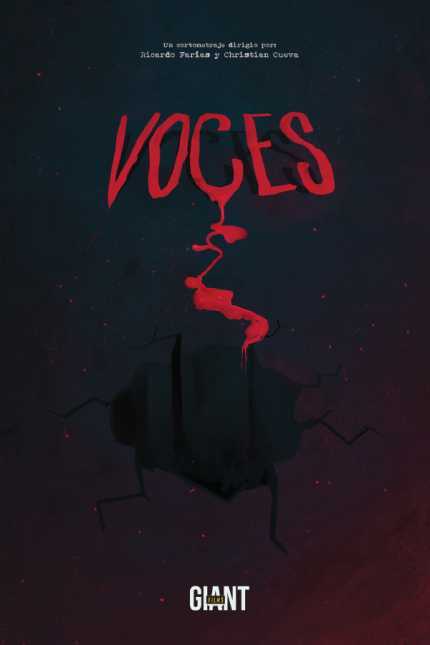 VOCES (voices) subtitles in english from Giant Films on Vimeo.